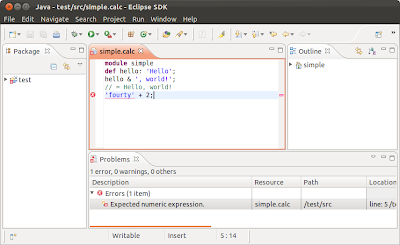 In this post I describe my experience with the recent version (2.1) of Xtext, a framework for developing domain specific languages (DSLs). As you can see from the above code the type checks aren't really pretty with all the instanceofs and casts. If I had more control over the generated AST classes I would apply the Visitor pattern and implemented the type checker as a visitor. However this can be mitigated with the help of the poorly documented PolymorphicDispatcher. return validator.checkType(expr) != Type.INVALID ? 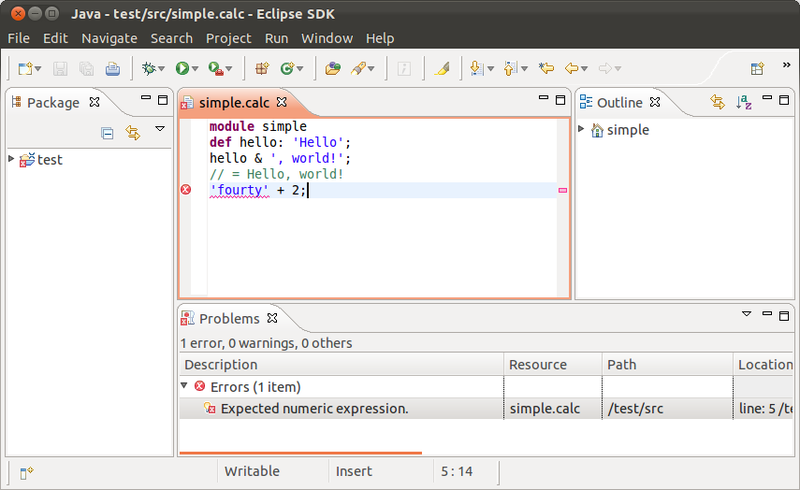 How to run the .calc file? 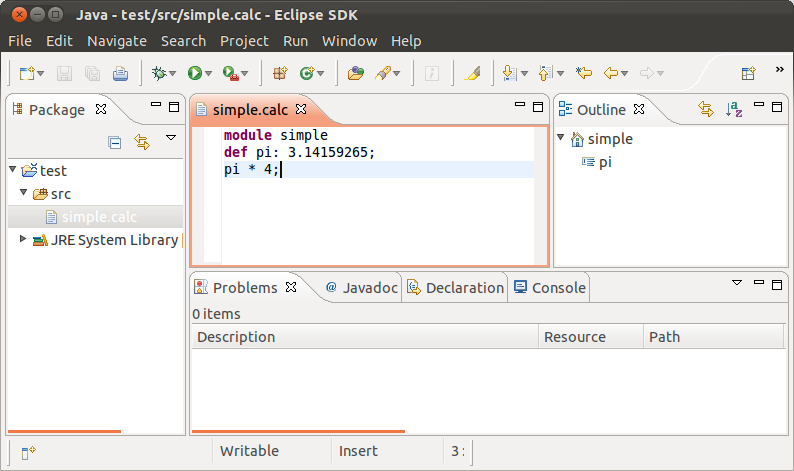 Could be, but there is already an Eclipse-based IDE for AMPL called AMPLDev: http://bit.ly/KLuJYS . This was more of a test drive to get a better understanding of Xtext features. 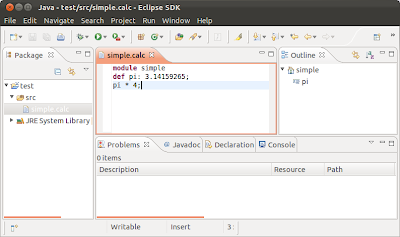 Next step: use Xtext to create an Eclipse-based IDE for AMPL?